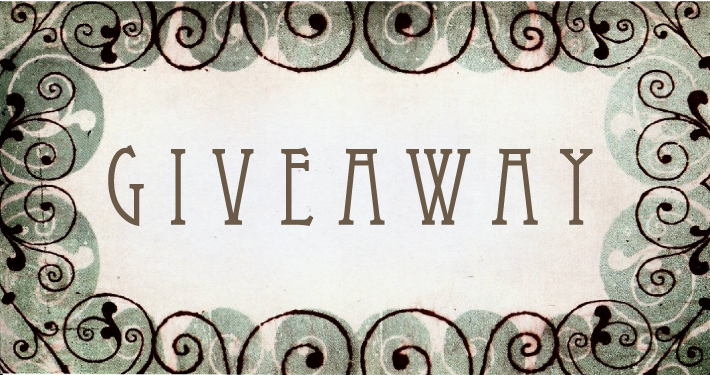 Is writing YA, a difficult genre to write in? How do you come up with fresh ideas and plot lines that haven't been done before? 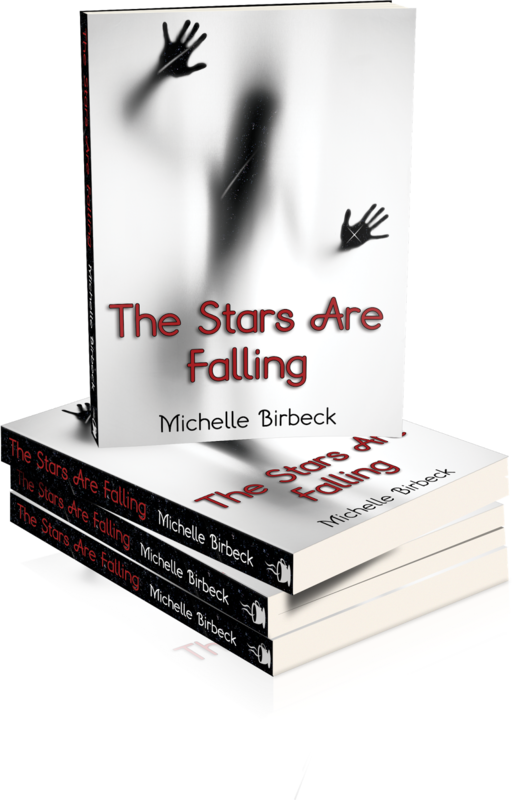 This is a tough question for me to answer, because The Stars Are Falling is my first and only young adult novel. Thatâs not to say I wonât be writing more, of course, but for the moment I only have one experience writing specifically for young adults. However, when comparing writing The Stars Are Falling to writing some of my other books, Iâm not sure there was any difference. 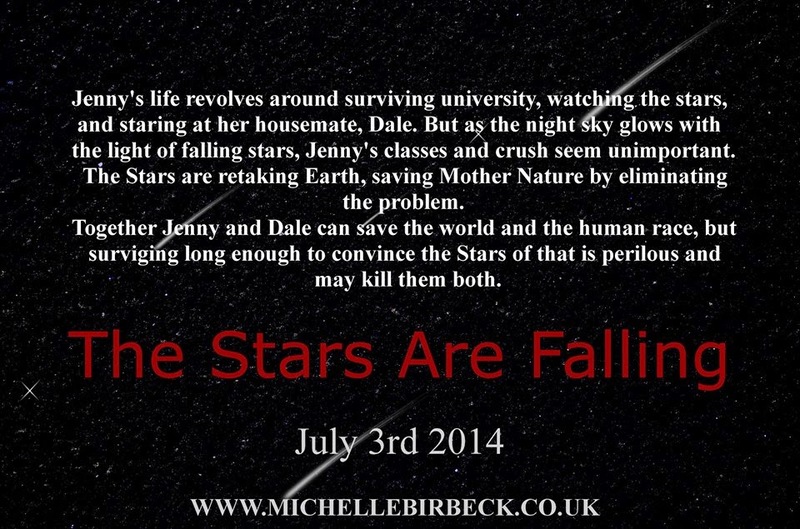 Perhaps because I didnât really plan for The Stars Are Falling to be a young adult book. When I started writing it, I had a very limited time in which to write the book. From start to finish I had 30 days, and no manuscript. So being the crazy individual that I am, I decided to just write a new one, from scratch. It began with dragging an idea out of my ideas folder that had been sat there for a good 18 months. It then progressed into several Skype calls trying to work out not only what the whole story was going to be, but the research behind it and the characters. All the while, I was trying to cook dinner. So I had my laptop on my breakfast bar with my headphones in and my wonderful friend talking me through the physics I needed, and Iâm nipping back and forth stirring pots and turning meat. By the time the first evening came about, I had spent hours on Skype, talked through more physics and science than I ever learned in school, and had a full, chapter by chapter plot. And then came ten days of writing. Constant, up in the morning, bed as late as possible, writing for every spare moment. Itâs fortunate that I have a couple of very good friends who are willing to take everything I throw at them. Because a couple of weeks after starting, I had not only written the book, but my fantastic friends had read it and given me their thoughts on what needed to be done. It wasnât until the end of writing the book that I realised two things: firstly that it was a young adult novel, and secondly that it was science fiction. All in all, the challenges I faced writing this book were very much the same as the challenges I face writing every book, regardless of whether itâs young adult or not. And, of course, it was fantastic fun to write and to see it progress from written to published. 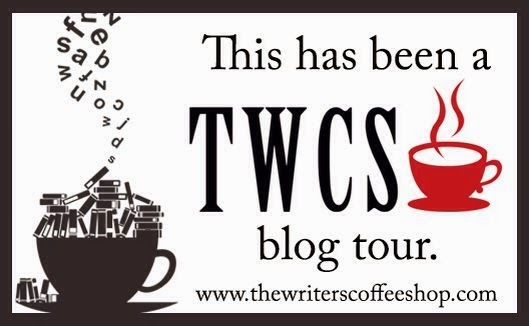 My Review of "The Stars are Falling"
Michelle is a fellow TWCS author, the publisher that will put out my first book, "Wrong Place, Right Time," in December. When she told me about her book, she downplayed it a bit and said I might not want to read it because it was YA and a bit on the paranormal side. Because of that I didn't read it at first. 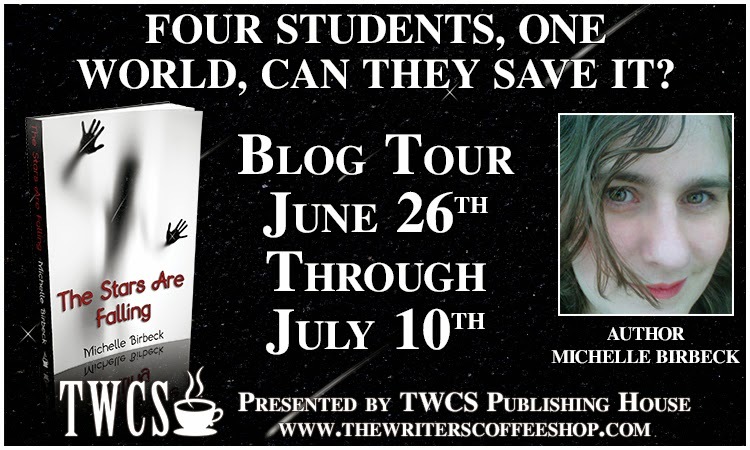 But then the opportunity for the blog tour came up and I figured I'd give it a shot. Boy was I glad I did. It was fast paced and descriptive and very entertaining. This book was very intriguing from the start all the way through the finish. I wasn't sure about it because of the genre, but once I started reading it, I realized it didn't matter if it was YA or not, I enjoyed it! I have read YA before in the form of Michael Vey books by Richard Paul Evans and plenty of others. In the end, who cares what the target audience is? You enjoy it if you enjoy it! Books like these fascinate me because I always wonder how in the world the author comes up with the premise. As an author, I imagine and create things, but I never create whole different realms and worlds like Michelle Birbeck and other authors in this genre do. It takes quite the imagination! The idea behind the book was interesting. Stars fall out of the sky to right wrongs. In this case, the wrong is that humans are destroying the earth. The fact that the idea behind the book is actually true in real life only makes it more poignant. So overall I really enjoyed the book, though I would recommend it for older teens and adults and not for younger teens because of a few scenes she included. 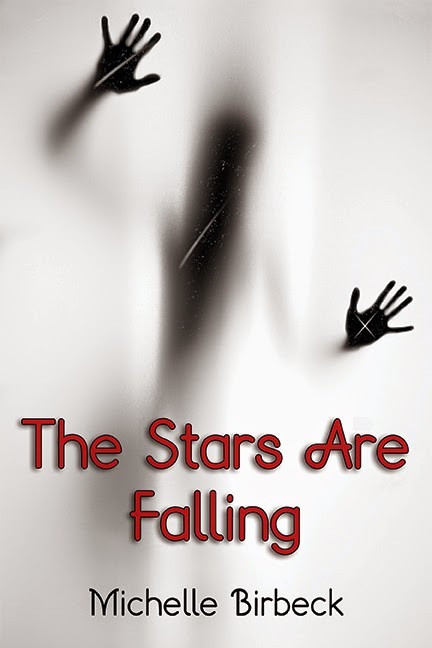 If you're looking for something out of this world that is grounded at the same time...or just something fully entertaining that will help your day fly by, read "The Stars are Falling." "Is saving the one she loves worth killing the whole world?" Whatâs left in the crater isnât a lump of rock from outer space, but something that looks like a man. Soon after, the killing begins. Anyone who gets in their way is disintegrated with an all-consuming light so hot nothing remains. Michelle has been reading and writing her whole life. Her earliest memory of books was when she was five and decided to try to teach her fish how to read, by putting her Beatrix Potter books in the fish tank with them. Since then her love of books has grown, and now she is writing her own and looking forward to seeing them on her shelves, though they wonât be going anywhere near the fish tank. I haven't read any book written by Ms. Michelle Berbeck. 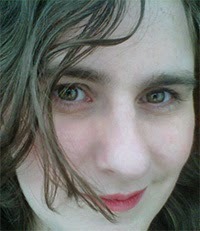 But she's famous online and have been known for the couples of books she had written with flying colors! I respect those people who have this special love for their craft, and authors are part of this circle. On the other hand, I had the desire to read her book because of your review. 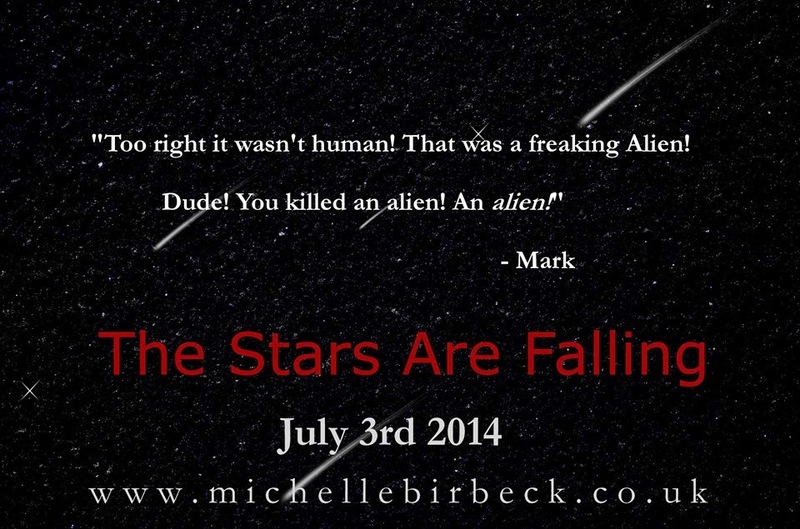 "The stars Are Falling" looks like a promising book, and I don't mind spending money for this one!